Cheer for your favorite team and enjoy the entertaining festivities of the family fun zone! 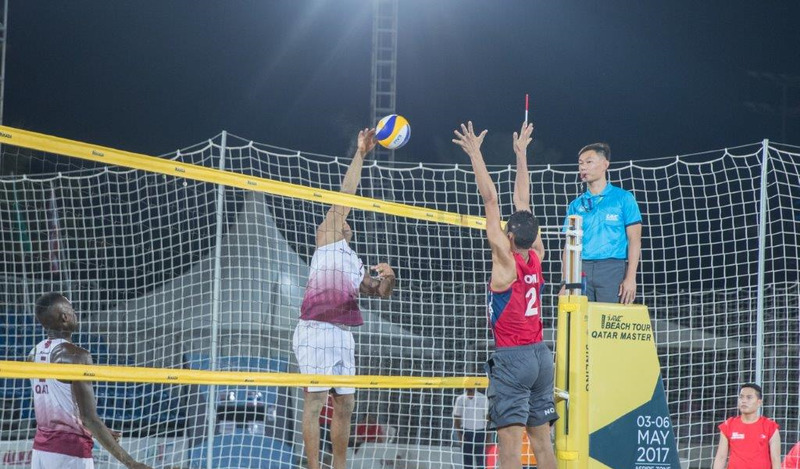 Aspire Zone Foundation (AZF) is set to host the largest beach volleyball competition in Asia; Asian Volleyball Confederation (AVC) Aspire Beach Volleyball Qatar Master 2018. This is the 7th edition of the Asian competition and the second at Aspire Zone. The four-day championship will take place at Aspire Park, from 27 to 30 November 2018. The event is jointly organised by the Asian Volleyball Confederation (AVC), Qatar Volleyball Association (QVA), Qatar Olympic Committee (QOC) and AZF. The championship is attracting international and local attention as it is the largest of kind in Asia and attracts the attention of a wide sector each year of fans of the game in Qatar. 8 countries with 16 teams confirmed their participation: Qatar, the title holder; Australia, Iran, Japan, Oman, Kazakhstan, and New Zealand. We brought the beach sand to Aspire Park! To be closer to the public and to give volleyball enthusiasts of all levels the opportunity to enjoy a fun-filled atmosphere, the championship is held this year at Aspire Park. There will be a family fun zone with functions and sports activities for kids and the whole family, in addition to food and beverage.